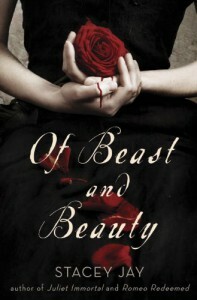 Of Beast and Beauty is one of those fairytale retellings that I actually like, next to Unhinged by A.G. Howard. Isra is a princess locked in a tower, blinded at birth by a fire and sees herself a freak, a monster; counting down the days till she becomes a willing sacrifice for the roses - can I just say that I totally love what Jay did with the roses? so cool - that provide her city with a dome of protection from the harsh outside world. Gem is a beast, a Monstrous, with scales and claws supposedly tipped with poison. He needs the roses that Isra's people depend on and sneaks into the city in the dead of the night because his people are dying and desperately need the magic the roses give. But he gets caught and is forced to interact with Isra, a smooth skin, and the more they interact the more their view on each others change making them wonder if the things they were brought up to believe were true. Stacey Jay's writing is beautiful, it's really lyrical but it didn't come off as pretentious and holier-than-thou. Her characters were wonderful and when they were sad, so was I. Happy? Frustrated? Angry? I was as well. In short, her characters were wonderfully crafted and I loved each and every one of them. Of Beauty and Beast starts off a little slow but it picks up along the way and I couldn't help but wish Gem and Isra would just get on with the kissing. It's mainly romance but somehow it just still enough for me. I wanted more, more, more, more. 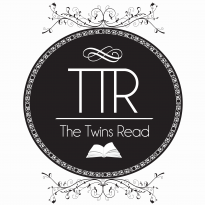 Because Gem and Isra are the bomb and they deserve a happily ever after. Since Isra is a princess in a trapped tower doesn't she resemble Rapunzel more? Kept in the dark and all that. But anyway, Of Beast and Beauty is one retelling you don't want to miss. Action, evil roses with a taste for blood and a love that could change the world? YES PLEASE. Go read it now.